March is just around the corner and with it will come the biggest mining and exploration event of the year. The 2016 edition of the PDAC Convention takes place in Toronto from March 6th to 9th and will bring together thousands of delegates from across the world including investors, media, mining and exploration executives, industry professionals as well as service providers and more. 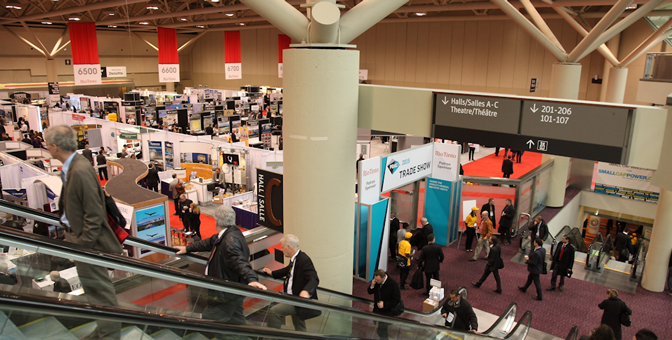 As the PDAC Convention continues to grow in size and popularity, so too does the CSE’s footprint at this event. This year eight CSE-listed issuers will be exhibiting at the PDAC at Investors Exchange as well as the Prospectors Tent. The CSE will be located at booth 2542 in the Investors Exchange. Conference delegates can meet members from the CSE team and also grab some great conference swag including the special PDAC 2016 edition of the CSE Quarterly. In addition to events on the conference floor, the CSE will also be hosting a pair of networking events on Tuesday March 8th. The first event will continue the CSE’s tradition of bringing together investors, industry professionals and listed issuers for a networking lunch reception. This year’s luncheon is co-sponsored by Equities.com and MNP LLP and takes place on March 8th at 11:30am at the InterContinental Toronto Centre – just upstairs from the conference centre. The networking luncheon is always a busy event so be sure to register early here to secure your tickets. 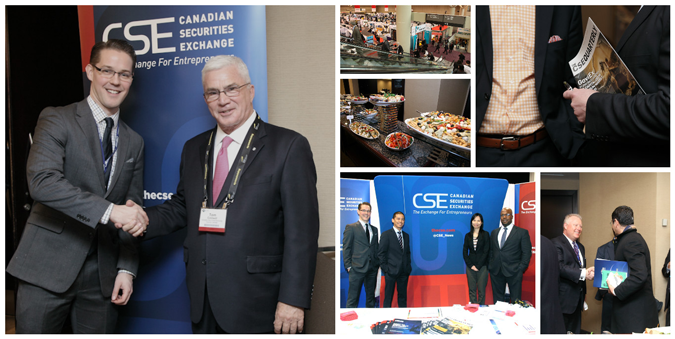 In addition to the CSE’s daytime event, the CSE along with co-sponsors Aird & Berlis LLP, MNP LLP, Euro Pacific Canada Inc. and Invest Barbados, are hosting an evening reception on March 8th at Taverna Mercatto. After a long day of making the rounds on the conference floor, taking in presentations and powering through meetings, this is the perfect opportunity to meet and greet colleagues and make new connections alongside great food in a fun setting. For more information or to RSVP, click here. Finally, the CSE is also proud to once again be a sponsor of the Mining Matters program which helps to inspire, engage and educate children and youth through year-round community events on the importance of mining in society. For more information on the PDAC Convention 2016, including how to register, visit their official website here or to get a recap of our time at last year’s event, including a picture gallery, click here.